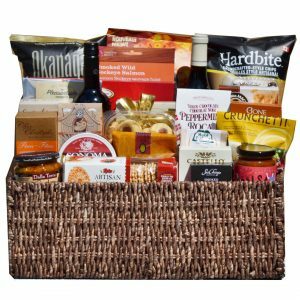 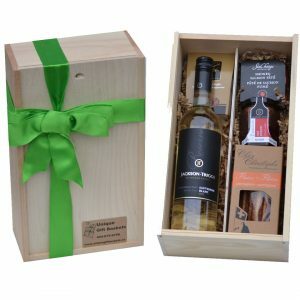 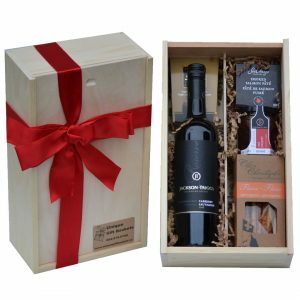 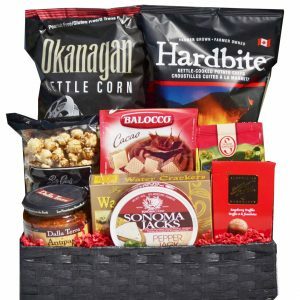 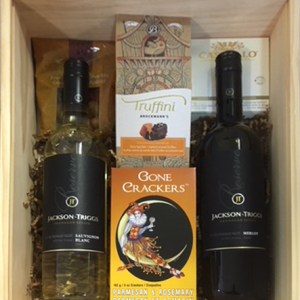 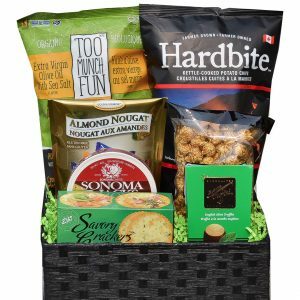 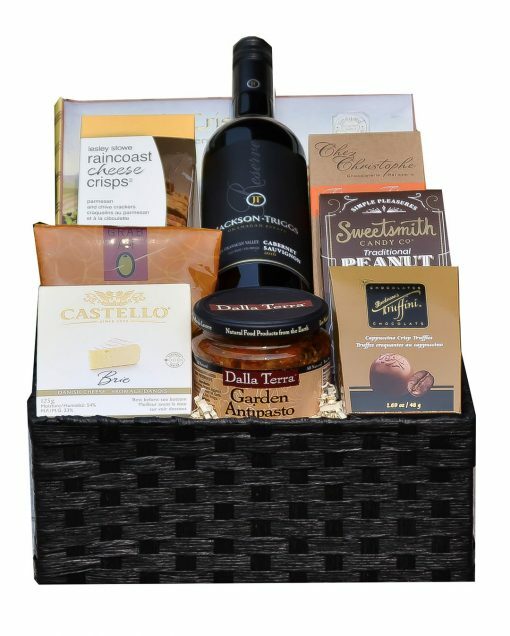 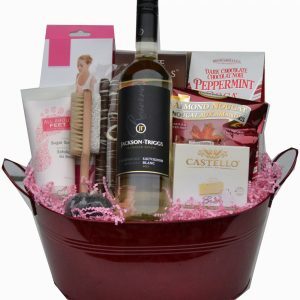 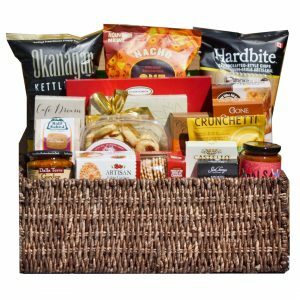 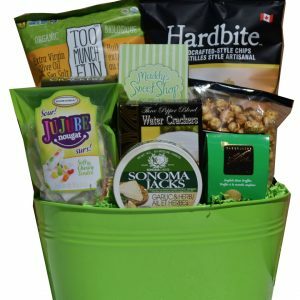 The wine and gourmet gift basket has been a top seller for many years. 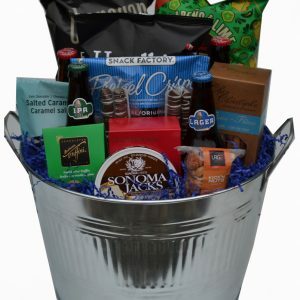 We include a bottle of premium B.C. 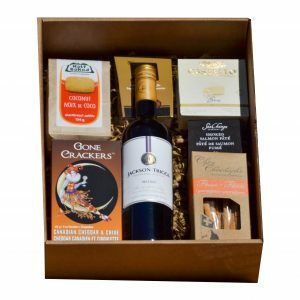 Red or white wine and a sampling of snack products from local and international sources.Finished with a burgundy brocade bow, the presentation is stunning!